Yaaay! It finally happened, that's right, I got MelonHeadz-ed! My ultimate "I finally made it" moment is seeing myself as a cartoon. Well, feast your eyes on this! 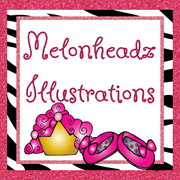 I am tickled pink by the talented Nikki and the rest of the crew over at Honey Bunch Blog Design! If you're not familiar with MelonHeadz, it's an absolute must! 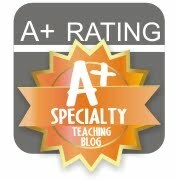 Her stuff is adorable and designed especially for the classroom. Aside from what can be found on Etsy, you can also order a custom "Build-a-Teacher" (as you can see, mine comes complete with Toms, wedding ring, iPad, books and Starbucks iced chai latte). And to my delightful surprise, it was far more reasonably priced than I expected. My 5th through 8th grade students are required to read across a range of genres throughout the year. One genre that always prompts a lot of heel-digging is biographies. Our biography section is... Well, let's just call it a little "dusty." It's not a section that I'm proud of. In an effort to not only help the kids fulfill their requirement, but also get them interested in reading non-fiction, I ordered the complete Who Was series. These short, illustrated biographies are great for my middle grade readers. 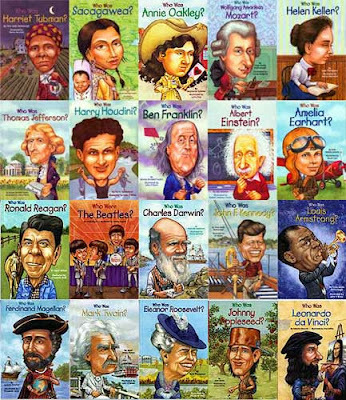 I found there are a ton of great biographies for children and a ton of great biographies for high schoolers, but the ones in between, fell through the cracks. This series is the perfect supplement. Best of all, when I delivered them to the 5th grade classroom, they went WILD. Now that's librarian magic. 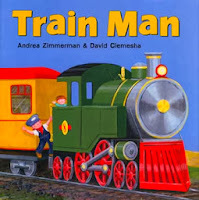 If our ragged Thomas the Tank Engine books were any indication, I knew our train storytime would be a big hit! Feeling extra ambitious, I wanted to do a fun project to top it all off. Little did I know, this would be a storytime to go down in the record books. It all started with Esther's CrafttoArt "Thumbprint/Fingerprint Freight Train" post. I loved her colorful thumbprint train so much that I quickly went on a mad search for large, washable, child-safe ink pads. After a fruitless search at Target, Michaels and Joann Fabrics (they all have a plethora of stamp pads, but either they're permanent or I would have needed to spend a bundle of money and buy one of every color), I was about to give up. That's when my husband chimed in and suggested using those cheap little watercolor paint trays. Now, I had my doubts, but it turned out he's brilliant. Not only were they incredibly inexpensive, they were also super kid-friendly and much less messy. I absolutely adored this book. It was so catchy and the kids just loved to sing along. It might have been a little too catchy... 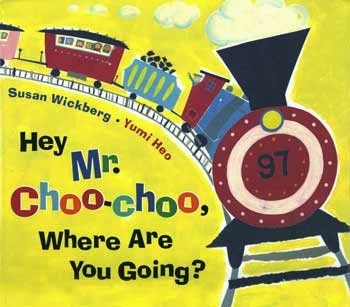 I found myself singing it for days after I finished storytime. And after thinking about it, the song is now happily bouncing around in my brain once again. Conductor on the train says, "All aboard!" Whistle on the train goes toot, toot, toot! Wheels on the train go clackety-clack! The crossing gates go clang, clang, clang! People on the train go bumpety-bump! 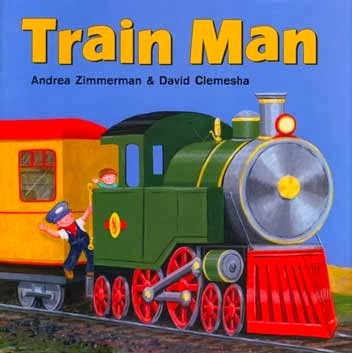 A fun story that was a favorite of the kiddos who are already train enthusiasts. I will say, when I was short on time for some of the classes, this is the story I left out. 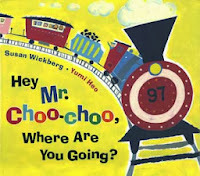 The first book, Hey Mr. Choo-Choo got them excited about the theme and the last book was important for leading into our craft. I liked the book, but if need be, this was the one I would leave out. 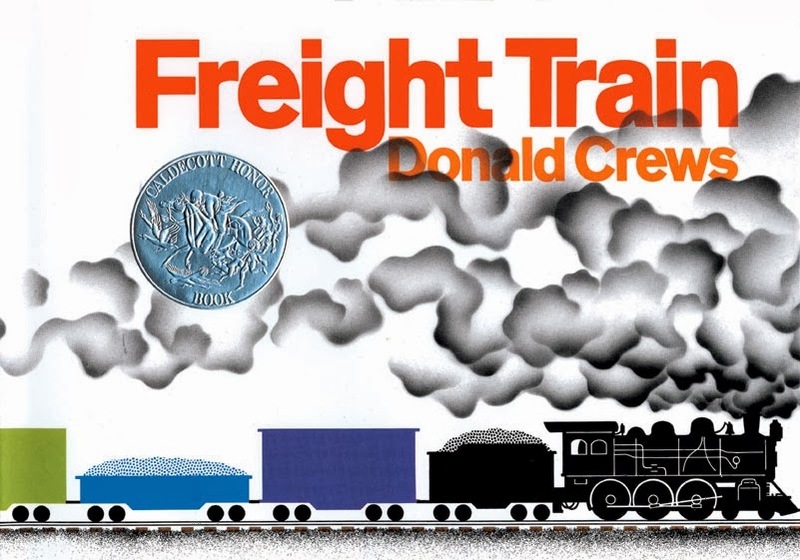 We went from Train Man straight into Freight Train and for all of my classes, I was very impressed at their ability to hold their attention and sit still that long. Granted, wearing a conductor hat and blowing a train whistle never hurts... This classic story was a great intro to our craft. I cut pieces of white card stock in half and then draw a horizontal line across the bottom of the paper using a black marker. The kiddos did this project one-on-one with either myself, the assistant librarian or one of their classroom teachers while the other kids picked out their books. I am incredibly fortunate to be able to go over my 30 minute time limit, if need be, and this was definitely one of those times. I am also incredibly lucky to generally have myself, the assistant librarian, and two to three classroom teachers during the preschool storytime. We kept a watercolor paint tray and very wet paper towels inside of Ziploc bags at each station. The adult helped to guide the kids' thumbs to the paper towel and then to the paint (we made sure to get it very "goopy" with paint). After the classes left and their trains dried, I added the small details and painted the smoke on using leftover water color. 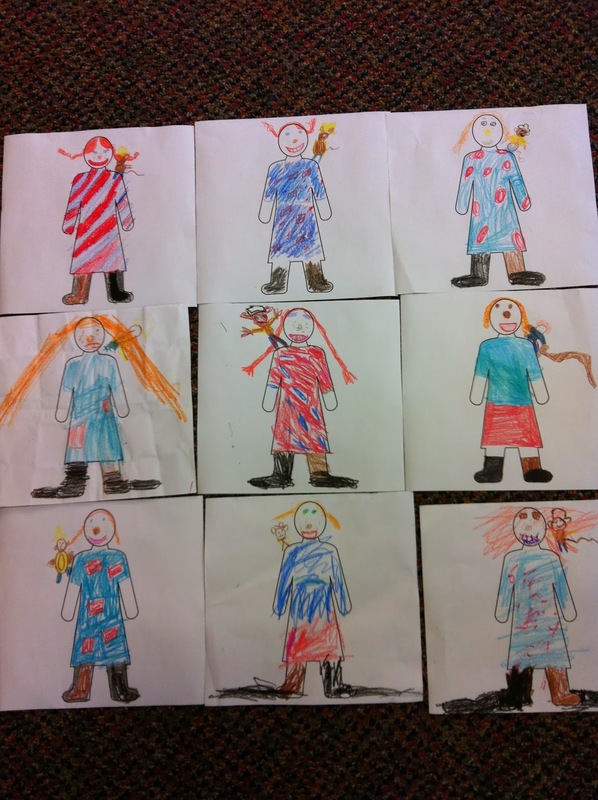 The preschool teachers were thrilled when they would see the finished product. VERY successful!